Forget the fancy shahi pulao at the resturants make your own. In a non stick deep dish pan add little oil. On a low medium heat add cumin seeds, bay leaf, cloves, dalchini. When the oil is infused with all dry spices. Add carrots and peas. Let them cook for 2-3 minutes. Add rice to the pan and add salt. Add water to the pan with tbsp of lemon juice. Let the rice cook for 10 to 12 minutes. 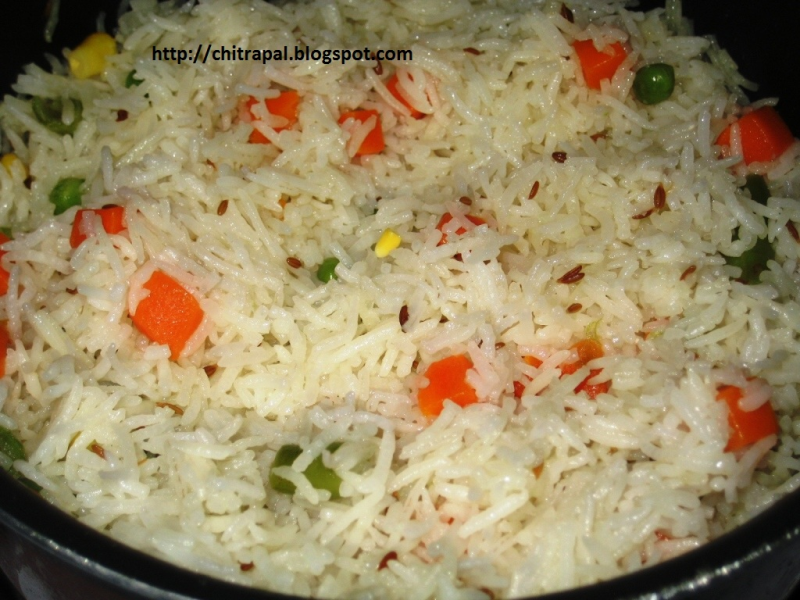 Enjoy the shahi pulao. Serve them on rice plate but take out the tej pata and cinnamon stick before serving. hi, you didn't tell the quantity of water? What is so shahi about it? Thanks chitra, I ahve my mom's birthday coming up. Will try this.. Thanks Mohit, do try thsi your family will love it.